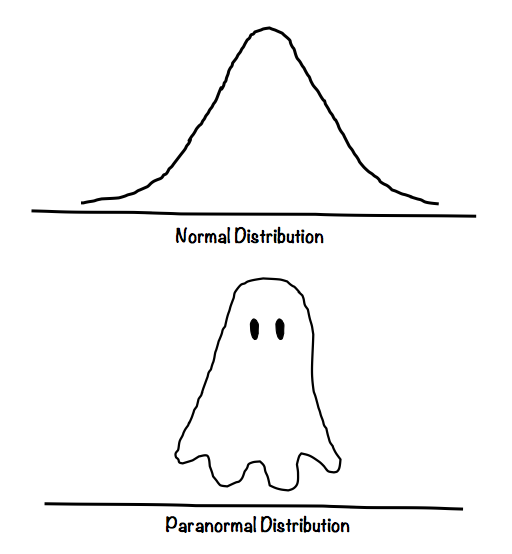 I’d like to put together an entire collection of Halloween math jokes, but I don’t have the energy to write it. I think I’ll use a ghost writer. Did you hear about the ghost who earned 14% on his math exam? He made a lot of boo-boos. I’ve published a post with Halloween math jokes for the past several years. Got any good Halloween math jokes? Please share! A joke about a graveyard, a dead person, and being frightened. All good things for All Hallow’s Eve. A man was walking through the Alexander Nevsky Monastery when he heard someone say, “x2 + 2x = (x)(x + 2).” Sure that his mind was playing tricks on him, he kept walking, but then he heard, “x2 + 2x + 1 = (x + 1)2.” He paused again, then heard, “x3 – 4x2 – 7x + 10 = (x – 1)(x + 2)(x – 5).” Concerned, he approached a cemetery worker. “Why do I keep hearing math equations?” he asked. For more Halloween math jokes, see Scary Math Facts for Halloween or Trig or Treat or Math Jokes for Halloween. If you laid all the candy corn end-to-end that is sold annually — more than 35 million pounds, according to the National Confectioners Association — it would circle the moon 21 times. And if you took all the bones from your body and laid them end-to-end… well, you’d be dead. What is the weight of all the bones in an average human body? What does a vampire teacher give to her students? Did you hear about the vampire who became a logician? What does a math teacher say to his students on Halloween? On Mischief Night, I spent a long time explaining our Halloween decorations to my neighbor. But I understood why he was confused. After all, they didn’t look like Halloween decorations. …and Napier’s BONES drawn on the sidewalk in chalk. After I set our neighbor straight, I went for a walk in the woods. Ever notice that cartoon hands only have four fingers? There’s a very simple reason for that — it’s easier to draw a hand with four fingers than with five fingers. But have you ever wondered what it would be like to have only four fingers on each hand? For one thing, you’d count in base eight, not base ten. For another, you’d never be able to give someone a high five. Why do mathematicians sometimes confuse Halloween and Christmas? It’s a wonderful coincidence that October 31 and December 25 both happen to be days with significance, which is why that joke works. It’s no coincidence, however, that the abbreviations for October (Oct) and December (Dec) could also be the abbreviations for the octal (base 8) and decimal (base 10) number systems. In the old Roman calendar, October was the 8th month, and December was the 10th month. When the Julian calendar was created, July and August were added in the middle of the year, pushing October and December to the 10th and 12th slots, respectively.